Born: 3 March 1864, Cape Town, South Africa. Died: 15 May 1945, Cape Town, South Africa. Charles Frederick Juritz was the son of Jan Pieter Faure Juritz and his wife Maria Ann Cozens, and a grandson of Carl Friedrich Juritz. Both his father and grandfather were pharmacists. Charles was educated at the South African College, Cape Town, and matricultated through the University of the Cape of Good Hope in 1881, winning two scholarships. Further studies at the South African College gained him the Governor's prize in 1882, and the Bachelor of Arts (BA) degree with honours in science from the University of the Cape of Good Hope in 1885. He was awarded the Master of Arts (MA) degree in chemistry in 1886, having studied under professor P.D. Hahn*, on the basis of examination papers in organic, inorganic, agricultural, technological and analytical chemistry and a practical examination. For the next three years he remained at the South African College on a fellowship, to study the chemistry of South African woods and fodder plants. In October 1890 Juritz joined the colonial secretary's office and started a small laboratory for water analysis as a public health service. Soon he and his laboratory were transferred to the Department of Agriculture, where in June 1891 he was appointed senior analyst in charge of the newly created Government Analytical Laboratory. Several other small laboratories and services were incorporated in it during the eighteen-nineties. As head of the laboratory Juritz helped to lay the foundation for chemical research in South Africa, though his work related mainly to agricultural problems. His analyses of agricultural soil samples from all over the colony were particularly valuable, leading to the first soil survey in South Africa. In 1907 he was awarded the degree Doctor of Science (DSc) by the University of the Cape of Good Hope for his thesis A study of the agricultural soils of the Cape Colony, published in Cape Town in 1909. The DSc degree had just been instituted by the university, and he was the first candidate to receive it. From 1900 to 1903 he investigated several cases of Acocanthera poisoning, and in 1914 showed that the South African species of the plant genus Dimorphotheca, commonly known as bietou, contain prussic acid. Juritz wrote many reports, pamphlets and books. Early in his career he published a short textbook for students of analytical chemistry, A systematic course of qualitative analysis of inorganic substances; with tests for the more important metals and acids (Cape Town, 1890, 71p. ); also The chemical constituents of some colonial fodder plants and woods (Cape Town, 1890, 58p). Other important publications were Analysis of registered commercial fertilizers, 1911-1912 season (Pretoria, 1913, 17p. ), and Chemical investigations in regard to citrus (Pretoria, 1925). In addition he published numerous papers on a variety of topics in analytical and agricultural chemistry. For example: "Some notes regarding South African pharmacology" (1906), and "The fertility of some colonial soils as influenced by geological conditions" (1907), in the Transactions of the South African Philosophical Society; "Investigations into the physical composition of some Cape Colony soils" (1908), "Twenty-five years of chemical investigation in the Cape Colony" (1911), "Chemical composition of rain in the Union of South Africa" (1913), "South African plant poisons" (1914), and "Notes on the chemical composition of Karroo ash" (1915), in the Report of the South African Association for the Advancement of Science; "Orange River silt as a fertilising agent" (1907), "Composition of salt from some colonial salt pans" (1908), "The underground waters of Cape Colony" (1908), and many more, in the Agricultural Journal of the Cape of Good Hope; "Brack soils; their cause, cultivation and cure", a paper read at the first South African Irrigation Congress in May 1909; "The need for organized chemical research in Cape Colony" (1905), and "Topographical and geological terms in local use in South Africa" (1909), in Report of the British Association for the Advancement of Science...; "The urgency of a definite foreward movement in the study of the active principles of South African plants" (1915), in the South African Medical Record; "The submarine phosphates of the Agulhas Bank" (1921) in the South African Journal of Industries; and various articles on agricultural chemistry in the Agricultural Journal of the Union of South Africa (1911-1913) and other publications of the Department of Agriculture (to 1925). 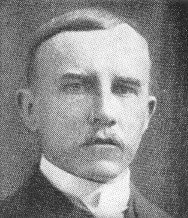 Juritz was an examiner in chemistry for the University of the Cape of Good Hope from 1893 to 1898 and again in 1910, 1915 and 1916. In 1905 he served on two government commissions, one appointed to investigate an explosion of gas in the streets of Cape Town, the other relating to the management of the government wine farm at Constantia. After the formation of the Union of South Africa in 1910 he was appointed government analyst and head of the Government Analytical Laboratory in the Union Department of the Interior in 1912. He continued his campaign for the administrative centralisation of government chemical work, but with laboratories in several regional centres, with eventual success. In 1917 he was transferred to the Department of Agriculture to head its Agricultural Chemical Research Laboratory in Cape Town, and from July 1921 was appointed chief of the division of chemistry in that department (succeeding B. de C. Marchand*), until his retirement in April 1925. At the same time he was made responsible for the initiation and control of all chemical investigations in government departments. Juritz took a leading role in many scientific societies and other voluntary organisations. For example, he became a member of the South African Association for the Advancement of Science soon after its formation in 1902, served on its council from 1908, as president of Section B (which included chemistry) in 1909, as president of the association in 1918, and, with minor interruptions, as joint general secretary from 1910 to his death in 1945. When the British Association for the Advancement of Science decided to hold its 1929 meeting in South Africa he served on the executive committee that arranged the event. He joined the South African Philosophical Society in 1898, remained a member when it became the Royal Society of South Africa in 1908, was elected a Fellow in 1911, and served on its council in 1916 and 1921-1922. He also served on the council of the South African Association of Analytical Chemists (from 1921 the South African Chemical Institute) from its formation in 1912 to 1925 and from 1929 to 1930, and was its president for 1914/15. He was president of the Cape Chemical Society for 1908/9 and again for 1912/3. From 1909 he served on the council of the University of the Cape of Good Hope, and from 1918 on that of its successor, the University of South Africa. In 1927 he became a member of the council of the Cape Technical College, serving in this position for twelve years, and as chairman of the council during 1933-1935. In 1914 the government sent him to Australia to study some agricultural problems and while there the University of Adelaide awarded him an honorary Doctor of Science (DSc) degree. He was a Fellow of the Royal Society of Edinburgh (1922), and of the (British) Institute of Chemistry (1906). Over the years Juritz sent some plant specimens to the Bolus Herbarium in Cape Town. The species Carpobrotus juritzii and Mesembryanthemum juritzii were named after him by Mrs H.M.L. Bolus*. After his retirement Juritz served in the Cape Divisional Council (1925-1939) and on the Cape Hospital Board. He was a keen photographer and many of his photographs are housed in the National Archives, Cape Town. As a musician of note he was an associate and examiner of the Tonic Sol-fa College, London, and organist of the Dutch Reformed Church at Three Anchor Bay for thirty years. In later life his interest in religion led to the publication of a number of his lectures, including Modern biblical archaeology: Two lectures (London, 1936). He never married. Agricultural Journal of the Cape of Good Hope, 1895-1909, Vol. 8-34. British Association for the Advancement of Science. Report of the seventy-fifth meeting... South Africa, 1905; and Report of the ninety-seventh meeting... South Africa, 1929. Cape Chemical Society. Proceedings, 1906-1912. Cape of Good Hope. Civil service list, 1896, 1910. Cape of Good Hope. Report of the senior analyst of the analytical laboratory, 1894, 1896, 1898, 1899, 1901-1906. Cape of Good Hope. Report of the South African College council, 1885. De Villiers, M. 1902-2002: Centenary report of the Agricultural Research Council Institute for Soil, Climate and Water. Pretoria: ARC-ISCW, 2002. Gutsche, T. There was a man. The life and times of Sir Arnold Theiler, KCMG, of Onderstepoort. Cape Town: Timmins, 1979. Hall, A.L. A bibliography of South African geology.... Pretoria: Geological Survey, Memoirs no. 18 (1922) and No. 25 (1927). Henning, M.W. Animal diseases in South Africa (pp. 643, 648, 678). Central News Agency, 1932. Juritz, Charles Frederick. JSTOR Global Plants. Retrieved from http://plants.jstor.org/stable/10.5555/al.ap.person.bm000129519 on 2018-3-8. Personal communications from Professor June Juritz (wife of John Juritz, son of Charles's youngest brother Walter), 25 August and 8 October 2011. South African Association for the Advancement of Science. Report, 1903, 1905/6, 1908-1918. South African Chemical Institute. Proceedings and list of members, 1921-1922 and 1933-1934. South African Journal of Science, 1926, Vol. 23, Officers. South African Philosophical Society. Transactions, 1900-1907, Vol. 11, 16-18. South African who's who, 1908, 1919/20, 1923/4, 1927/8, 1931/2. University of the Cape of Good Hope. Calendar, 1886/7,1892/3-1897/8, 1908/9, 1911/2, 1916/7, 1917/8.